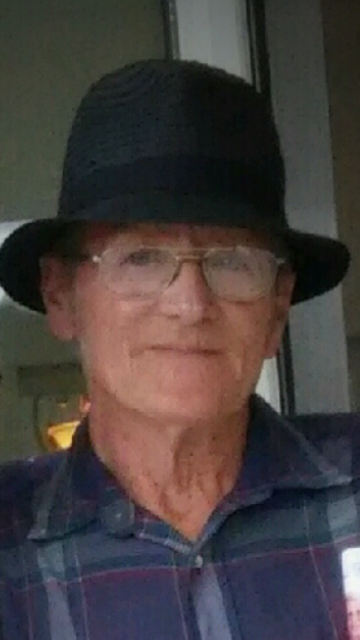 James “Roy” Richardson age 75 of Strunk, Kentucky passed from this life on Saturday, December 1, 2018 at his home. He was born September 26, 1943 in Illinois to the late Clarence Robert Richardson and Lola Gladys (Neal) Richardson. In addition to his parents, Roy is preceded in death by his brothers, Fred and Merle Richardson, sisters, Mary Lou Duncan, Imogene Duncan, and an infant sister, Julie Richardson. Surviving family include his children, James Richardson (wife, Katie) of Circleville, Ohio, Troy Richardson (wife, Loretta) of Winfield, Tennessee, Sherman Richardson (wife, Shonda) of Strunk; Debbie Sumner Trammell also of Strunk, and their mother, Sandra Richardson, of Strunk, a son Jairus Strunk and his mother, Frieda Strunk Bryant of Lexington, Kentucky; and sisters, Shirley Richardson of Stearns, Darlena Smith of New Mexico, Debbie Vaughn (husband, Sammy) of Florida, Vada Ann Jutus (husband, Tim) of Stearns. Also surviving are 18 grandchildren, Telvis Emerson (husband, Jarrod), Megan Richardson, Lauren Reeser, Jenna Resser, Sierra Richardson, Justin Sumner, Jacob Sumner (wife, Laciena), Johnny Sumner (wife, Dianna), Jeremay Richardson (wife, Rachel), LaShae Russ, Briana King (husband, Harry), Kira Richardson, Amber Richardson, Ethiam Richardson, Sherman Kyle Richardson, Lesley Stephens-Taylor, James Stephens (wife, Sarah), Sandi Jo “DJ” Stringfield, and 23 great-grandchildren. Roy was of the Baptist faith and was a member of the Calvery Baptist Church. He enjoyed going to church and working. On April 12, 2017 he was award a Kentucky Colonel Commission. Funeral services will be held on Wednesday, December 5, 2018 at 2:00 pm in the chapel of Pine Knot Funeral with Bro. David Burton and Bro. James Ray Jr. Duncan officiating. Burial to follow in the Silerville cemetery. The family will receive friends for visitation on Tuesday from 6-9 pm at the funeral home.